I have compiled a list of all new Lego Technic sets released in the year 2017 and I have divided it into 2 parts. 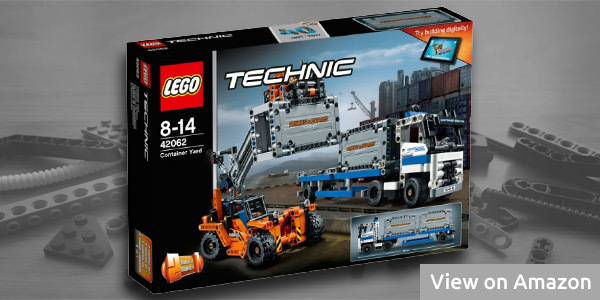 This one is the first part in which you will find 5 big Lego Technic sets that were released in January 2017. Update: You can also read my other article about the 3 new Lego Technic August 2017 sets. Also, each one of these Lego Technic 2017 sets comes with a special commemorative brick to celebrate the 40th anniversary of Lego Technic. Now let’s introduce these new 2017 Lego Technic sets. 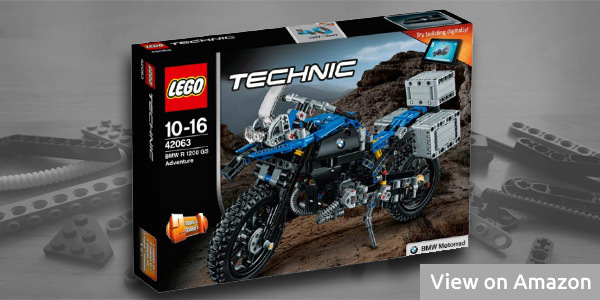 The first one on my list is a really nice BMW motorbike Lego Technic set. The model is built of 603 parts out of which most are blue, black and gray, like you can see on the preview image. This Lego set is licensed by the BMW company. It is actually a model of a sport motorbike made by BMW. The set features really nice rims with all-terrain tires, 2-cylinder engine and working suspensions. The B model that you can build with this set is a Future Bike Concept. The second one on my list is a remote-controlled motorized track. The set contains 370 pieces and most of them are green, gray and black. It is suitable for kids of the age from 9 to 16. This set contains the following Power Functions elements: battery box, receiver & transmitter and 2 motors. It can be real fun playing with this Lego RC “toy”. The alternative model that can be built with this set is an RC Off-Road Truck. 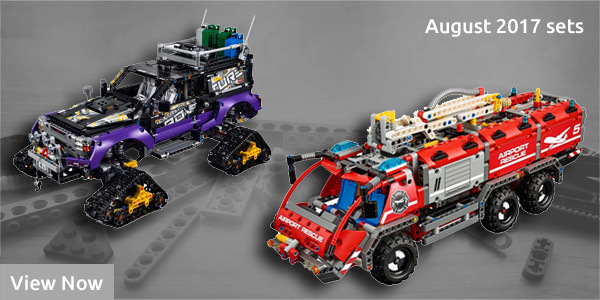 If you like remote-control cars, this is an ideal Lego set for you. I personally own one Lego RC set as well and I really enjoy playing with it (I own an older Lego Racers set though). This one is another really nice Technic set of 2017. If you like airplanes or fighters, this one is a must-have set for you. It contains 1,151 pieces, what makes this set the biggest one of all 2017 sets that have been released so far (there are 3 other sets planned for August 2017). The model features moving wing flaps and the cockpit can be opened as well. Most of the parts are of the black and blue color. This set is designed for kids of the age 10 to 16 years, but I believe many adults like me will like this set, too. 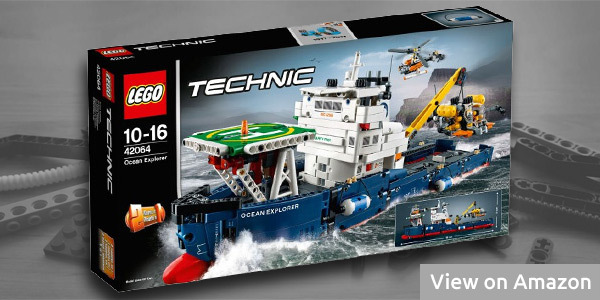 This 2017 Technic on my list is a little unusual, at least for me, because we normally don’t see a ship or a boat as a Lego Technic model. Nevertheless, here we have one and it looks pretty good. Besides the boat with a crane, this set also includes a small helicopter on its helipad and a submarine. This set contains 1,327 pieces and most of them are dark blue, white and gray. The recommended age range for this set is from 10 to 16 years. The last set on my list is made of 2 vehicles, similarly to the set reviewed above that consists of more than just one element. It is a truck with a container lifter. This set consists of 631 pieces, out of which most are of the orange, white, blue and gray color. The truck is white and has a blue & gray trailer. And the lifter is of the orange color and has a gray lifting arm. Overall, I think this is a nice set for young boys (it is for the ages 8-14). 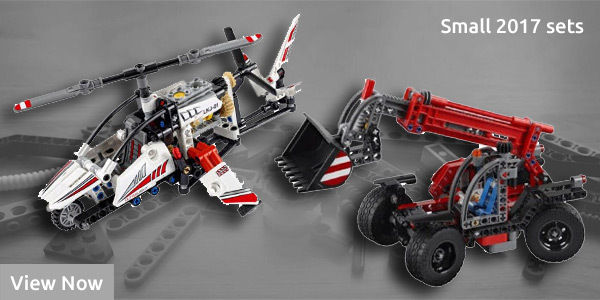 If you are looking for small Lego Technic sets that contain less pieces, check out my other article: Lego Technic Sets 2017 – All New Small Models. So this is my list of the Lego Technic sets 2017. Which one of them is your favorite? 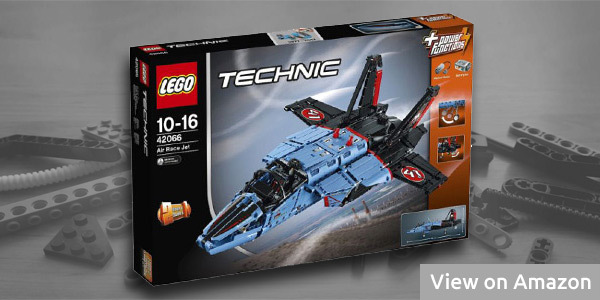 My choice from these 5 big sets would be the BMW motorcycle and the air race jet, as I personally like these 2 models most. 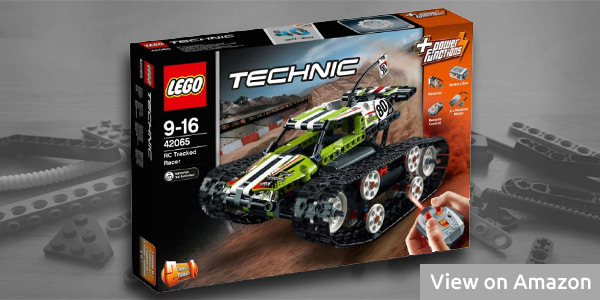 PS: You can also check my new article about the 2018 Lego Technic sets.